The INFP personality stands for intuition, feeling and perception. This personality type is introverted and those with this personality type make decisions based highly on their feelings. Your perfectionism and idealism are things that drive all aspects of your life, from your career to your relationships. You know that you are very intuitive and that your personality enjoys many strengths. However, when you are on a journey of personal growth, you must take the time to discover your weaknesses so that you can improve upon all of the aspects of your life by turning them into strengths. 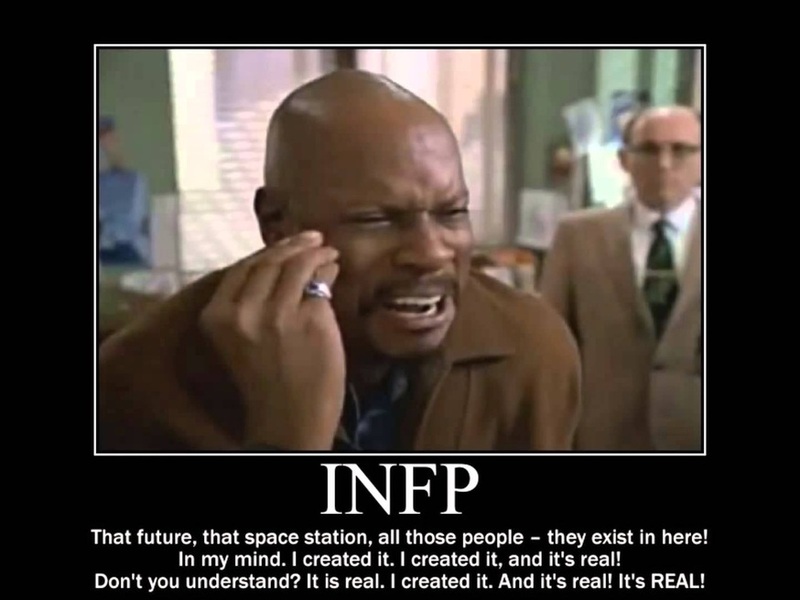 What is the INFP Personality? c) You tend to be a perfectionist in all aspects of your life. While an INFP's strengths outweigh their weaknesses, working toward greater personal growth means taking the time to learn about the weaknesses and identify those that affect your life. With the INFP personality, some of the weaknesses are actually the extreme of some of the strengths. For example, this personality type tends to be idealistic, but there are times when they are far too idealistic. For example, you may idolize your partner and see them as perfect instead of also recognizing their faults by seeing them in a more idealistic manner. Explore the INFP weaknesses and write down two that most apply to you. This gives you a starting point for working toward strengthening your weaknesses. For example, if you know that you take things too personally, take a step back when someone is offering constructive criticism, but do not over-analyze it. Look at the situation that triggered the constructive criticism and put yourself in the other person's shoes. This often allows you to change perspectives and see that the criticism is accurate and coming from a positive place. When you are focusing on your strengths, you can accomplish just about anything that you set your mind to. However, taking a journey of personal growth to identify and improve upon your weaknesses will expand upon the opportunities that are available to you. This will allow you to do greater things and enhance your ability to become an effective leader. You will find that your relationships become more fulfilling and that you gain confidence so that you are able to take your career to new heights.